The footplate of the pedal power Duet Wheelchair tandem bike had snapped in half, so required a new reinforcement to be useable again. 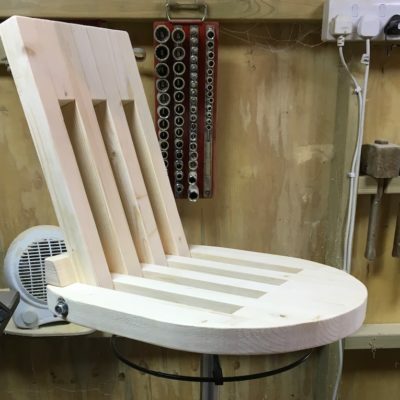 The client needed a workshop stool that would provide support to his badly damaged pelvis and back to allow him to return to work in comfort. 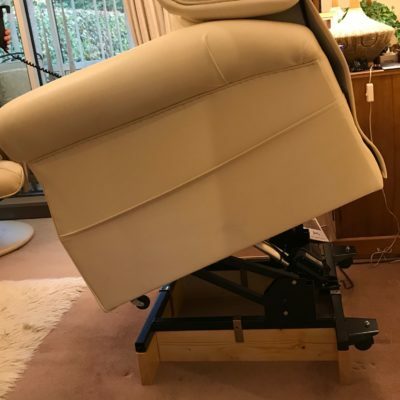 Working with him and his OT we devised the right amount of support, stability and mobility by modifying an existing commercially available stool. The client uses a shower chair to move through his home and needed a head rest mounting on it. The client has very limited movement in his arms and hands but can move his head accurately. He used to enjoy reading so to allow him to read independently again a device that let him control an e-reader with his head was needed. The client requires eye drops every fifteen minutes but also suffers from severe arthritis and is unable to dispense these herself. 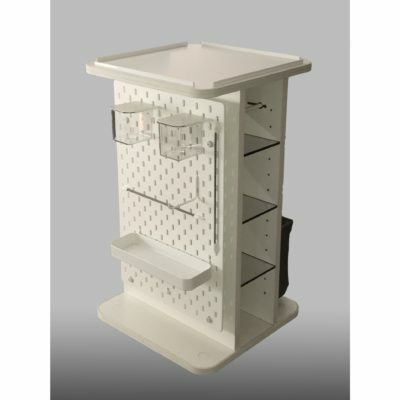 To improve her independence and decrease the workload on her husband a device that allowed her to dispense the drops herself was needed. The client can’t raise her arms to hang the washing out without severe pain. A washing line that could be easily lowered and raised was needed to make this day to day task bearable. A man who had a stroke now uses an attendant propelled wheelchair. The access/egress from the house in which he resided was difficult with a need to negotiate a right angle bend in a very confined location. An infill next to a step provided a level access and incorporated a turntable on which the chair could be rotated to the new direction. Following a serious accident, the client is unable to raise his hands to his face and accordingly is unable to feed himself using conventional cutlery. A long-handled fork was made for him which has proved successful, but he would like the additional flexibility offered by a spoon. A long-handled spoon is not viable so a means of raising a spoon from the plate to the mouth was needed which maintained the spoon in a horizontal position throughout. Enter the ‘Spork-lift’! The West Midlands Panel was approached to see if there was a way to adapt a proprietary tricycle such that a teenage boy could use it in a safe and controlled way outdoors in a large local park. An add-on trailer was devised on which a parent could ride and control the speed at which their son could travel.